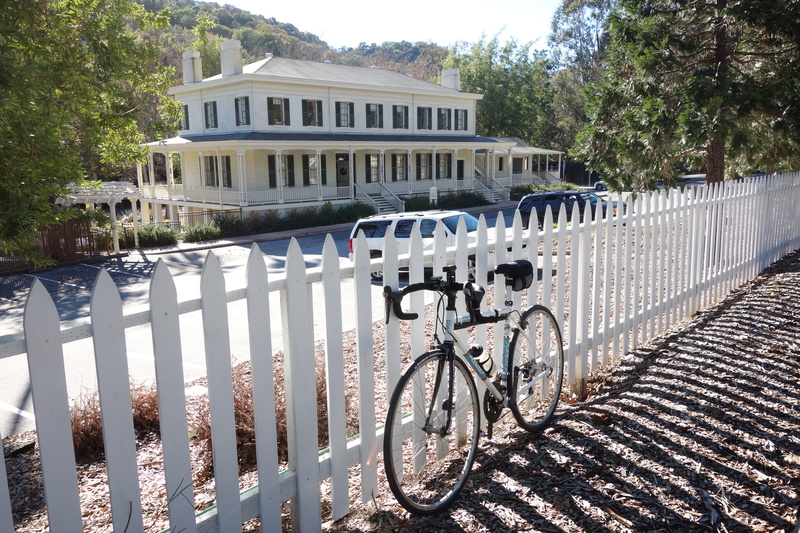 Casa Grande in New Almaden, built 1854 . The red brick was painted white at least 10 years ago. Home of the Almaden Quicksilver Mining Museum. Recently on one of my regular rides on a certain road in the heart of Silicon Valley I discovered the longest stretch without a stop light. Qualifier – it has to be a public road used by cars. Any road north of Blossom Hill Road in San Jose and south of Palo Alto. Do you know where it is? Distance? Send me your guess. Answer: Central Expressway between Mary Avenue and Bowers Avenue – 3.8 miles. There are only three stoplights (counting Owens Corning) continuing on to De La Cruz Blvd., 5.8 miles. An old bridge reveals itself at the bottom of the empty Chesbro Reservoir near Morgan Hill. In case you hadn’t noticed, the drought continues. 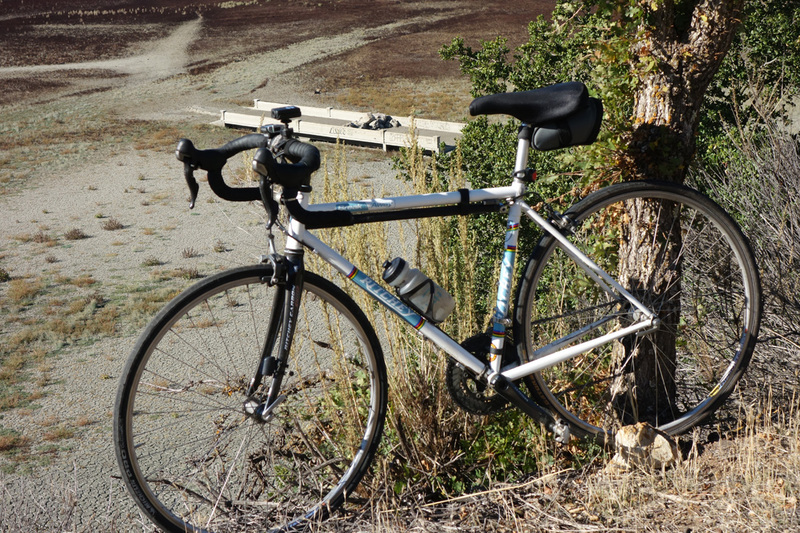 I checked out Chesbro Reservoir, which is at 1 percent, on Oak Glen Avenue. Uvas Reservoir is at 3 percent, Guadalupe 4 percent. 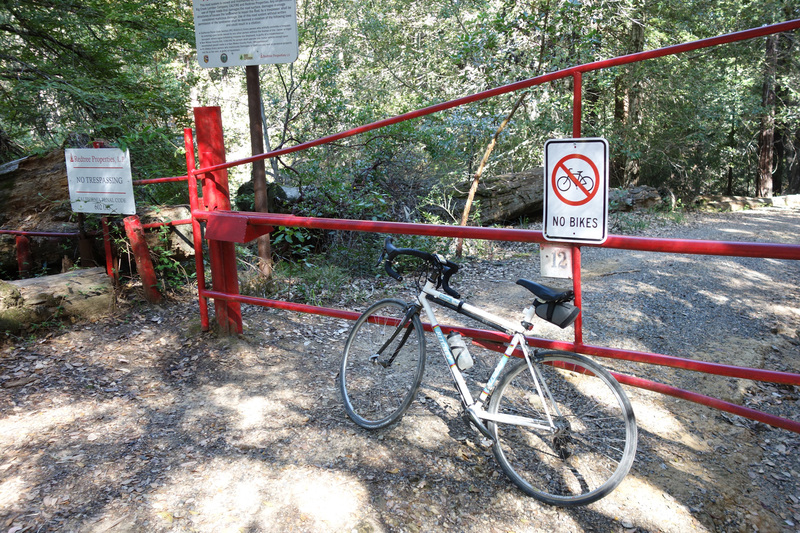 Chesbro is so low that a bridge over the old road is clearly visible. Why are all these old roads at the bottom of reservoirs? Horse and wagon needed easy access to water, so they followed the creeks. It wasn’t until the advent of more reliable car radiators in the 1930s that easy access to water wasn’t a big deal. In the 1950s when the local reservoirs were built, the were roads moved to higher ground. Mt. Hamilton summit around 1970. 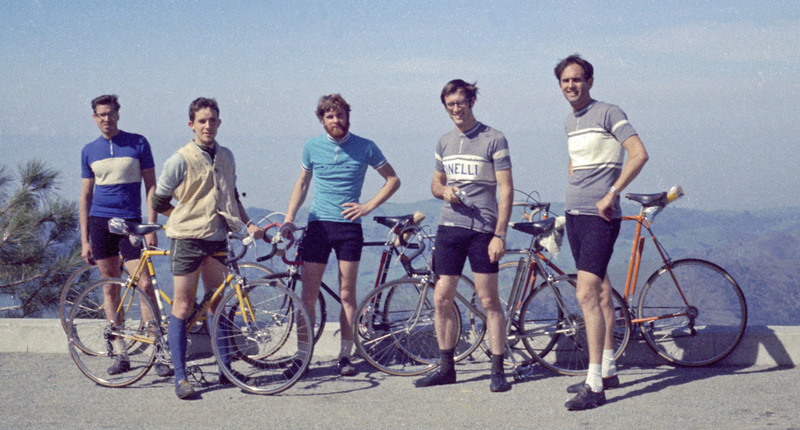 From left: John Hiatt, Anwyl McDonald, Dave Lucas, George Varian, Jobst Brandt with his orange Cinelli. 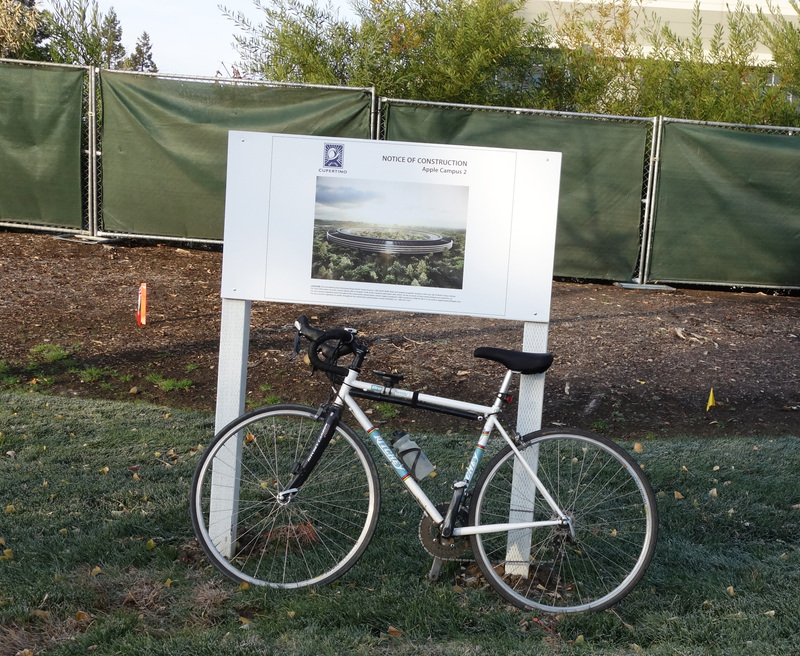 HP’s Homestead/Wolfe campus is giving way to Apple’s new spaceship HQ. Jobst Brandt used to work at this location. 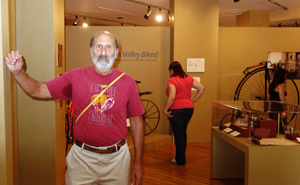 I stopped by to see Jobst Brandt and as I was there I thought about all the miles he’s ridden. My estimate is nearly 500,000 miles, or to the moon and back. He rode a bike since childhood, but I figure he had 50 years riding 10,000 miles a year, and that is a number he has used in correspondence. I have no doubt it’s true. 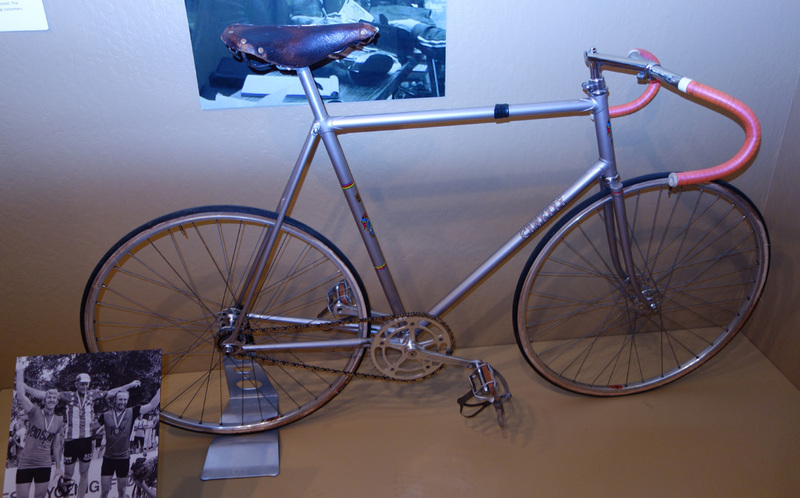 For a while in the 1970s, Jobst rode from his home in Palo Alto to the HP facility at Homestead and Wolfe Road in Cupertino. For a time I also worked nearby on Tantau and it was about 14 miles one way via Foothill Boulevard. 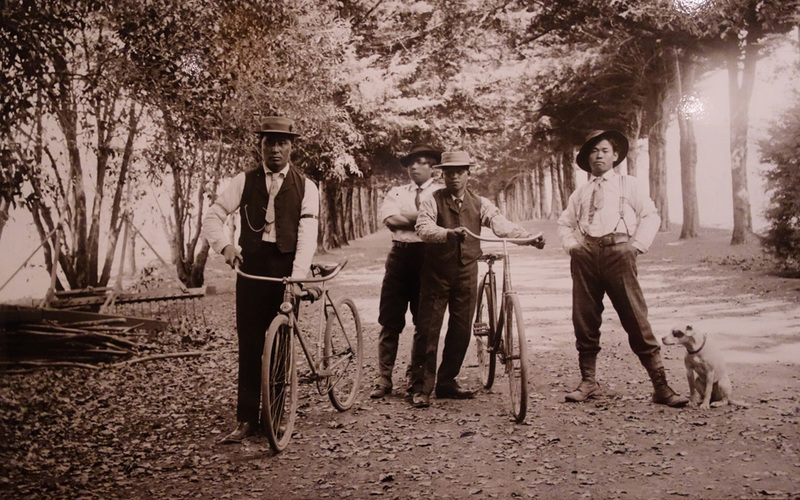 Jobst rode both ways on most days, and on Sundays anywhere from 50 to 130 miles. 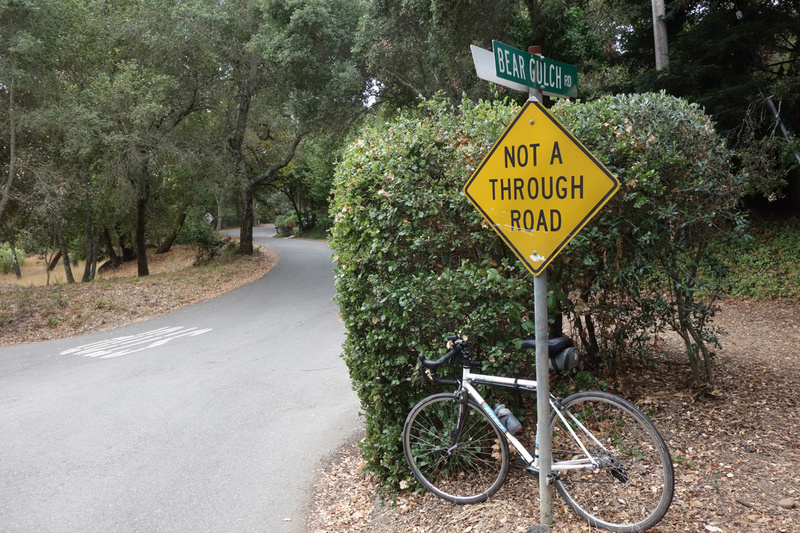 When he worked at HP Labs in Palo Alto, he always rode the Loop — Sand Hill Road, Portola Road, Alpine Road, Arastradero Road. He often complained about merging onto Page Mill Road at the I-280 exit. I hear ya. For those of you who received the annual woodblock Christmas card, here’s one of my favorites, the avocet. It looks like he started doing these in 1965 and stopped in 2007, from what I could see. Jobst Brandt woodblock carvings from the 1980s. There’s something wrong with this photo. Guess. Jobst Brandt descends Haskins Hill on Pescadero Road, promoting Avocet tires. 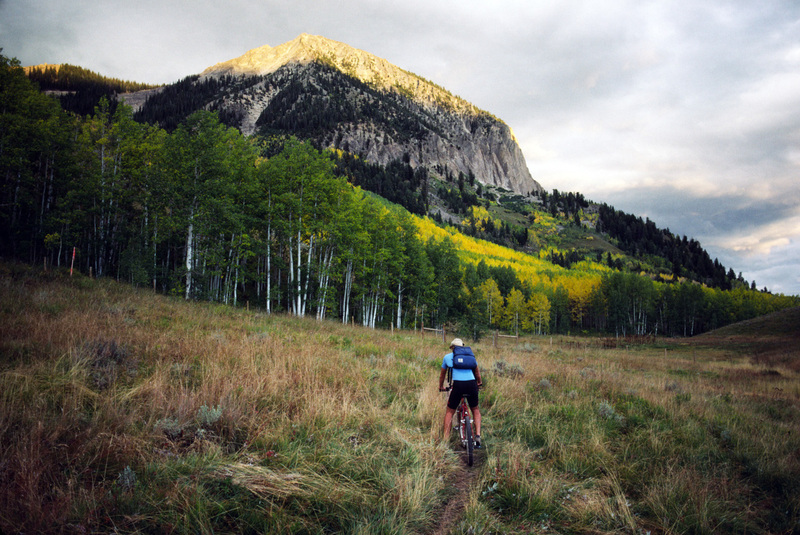 Among its many benefits, the Avocet cyclometer took the BS out of cycling. You couldn’t exaggerate how fast you sped down steep hills. I used to routinely hear Tour de France TV announcers talk about racers reaching 60-70 mph as though it were an everday occurrence. Hardly. I don’t hear that kind of talk as much now, so to impress the uninitiated they go metric on us. “They’re descending at amazing speeds, 80-90 kph.” That’s more like it. 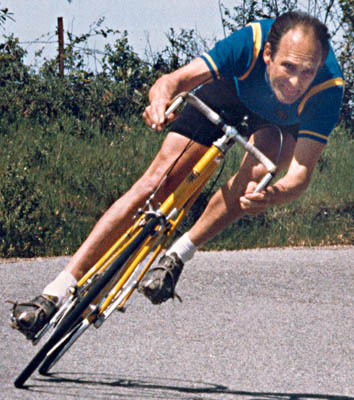 One of the best descenders I’ve known is Jobst Brandt. Not only was he a skilled rider, he was fearless, a pre-requisite for going 60 mph and beyond. 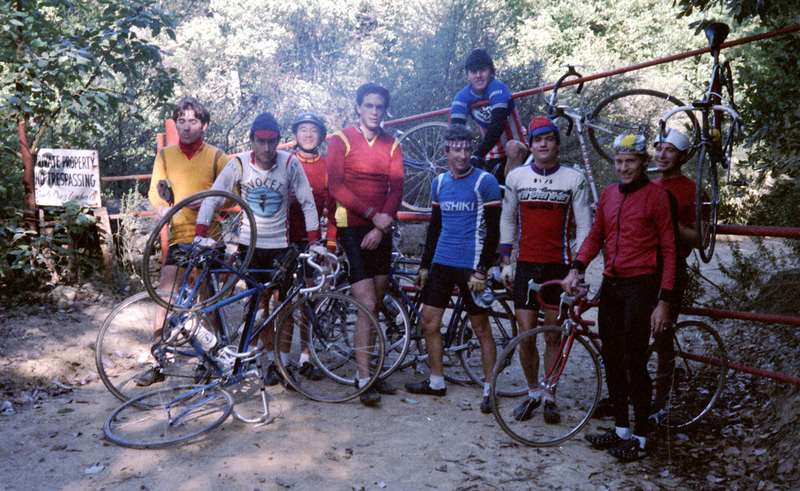 At 180 pounds he had a weight advantage over the elite riders who took his draft, racers like Tom Ritchey, Sterling McBride, Peter Johnson, Keith Vierra and others. 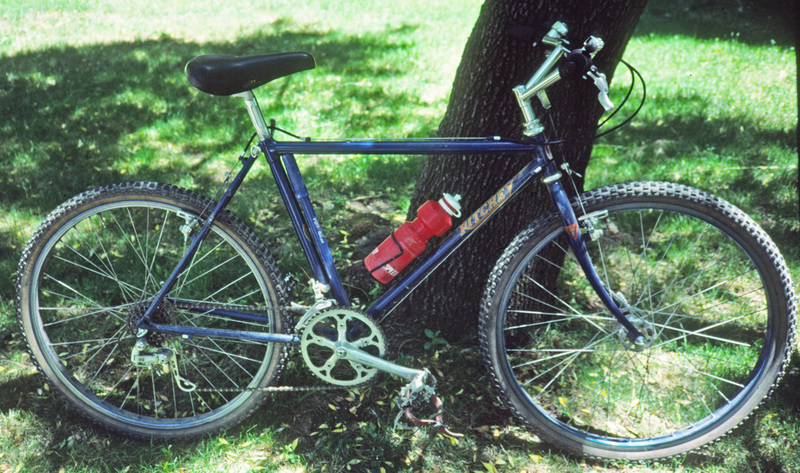 Jobst had a key role in designing the Avocet cyclometer (bike computer). 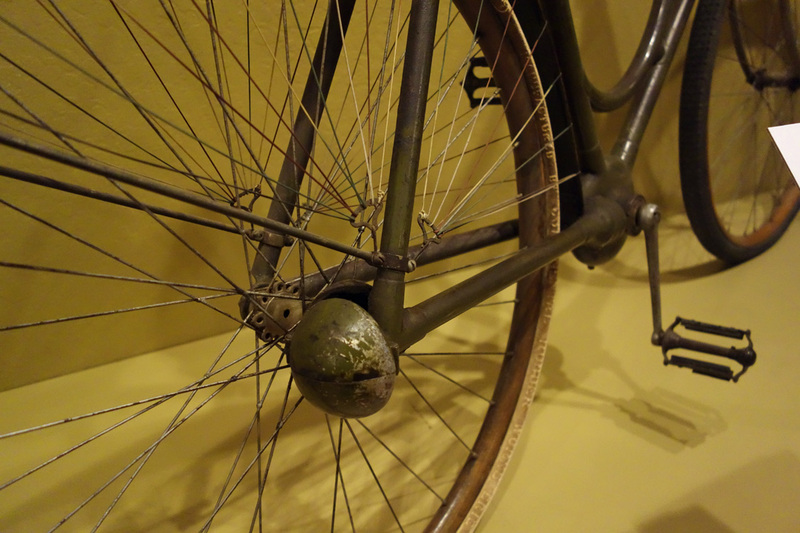 As an engineer and a cyclist he was a stickler for accuracy, which is why the Avocet cyclometer was the most accurate computer of its time. So how fast did Jobst go? He clocked himself just over 60 mph descending the east slope of Tioga Pass. Jobst repeated that effort on Italy’s Fedaia Pass with Peter Johnson. Dave McLaughlin, past winner of the Mt. Hamilton road race, says he reached a similar speed on Tioga Pass, according his to friends following in a car. You can’t appreciate how fast that is until you’re up around 50 mph. The slightest error means catastrophe — a rock, a gust of wind, a pothole. I’ve read anecdotal reports of racers reaching speeds of 75 mph, but I’m skeptical. It would have to be under perfect conditions and with a tailwind. Few racers carry as much weight as Jobst, who also lugged a 20-pound saddle bag on his Alps rides. 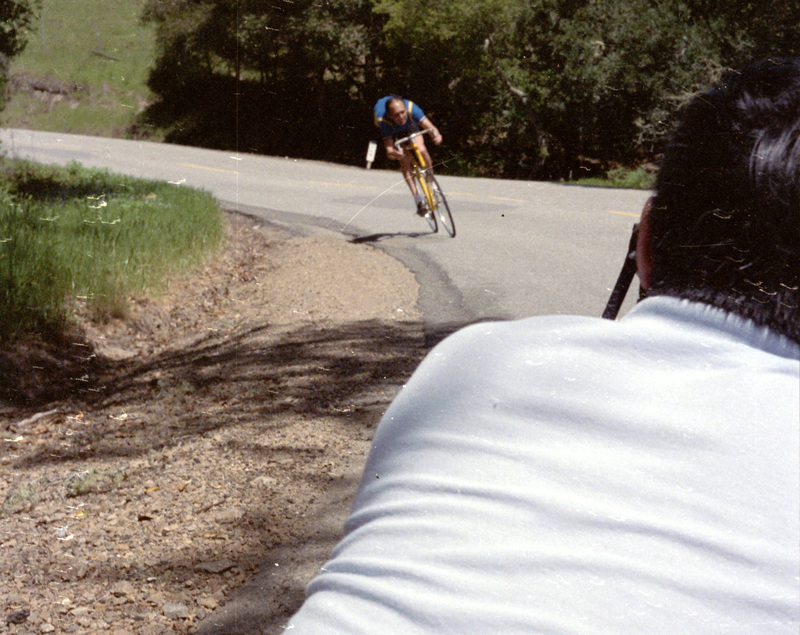 Ted Mock takes photos for an Avocet tire ad with Jobst Brandt in the mid-1980s. One legend admires another. Jobst Brandt checks out Faber’s (closed) back in July 1983. Sadly, the historic Faber’s Bike Shop caught fire Thursday in downtown San Jose and will most likely be torn down. 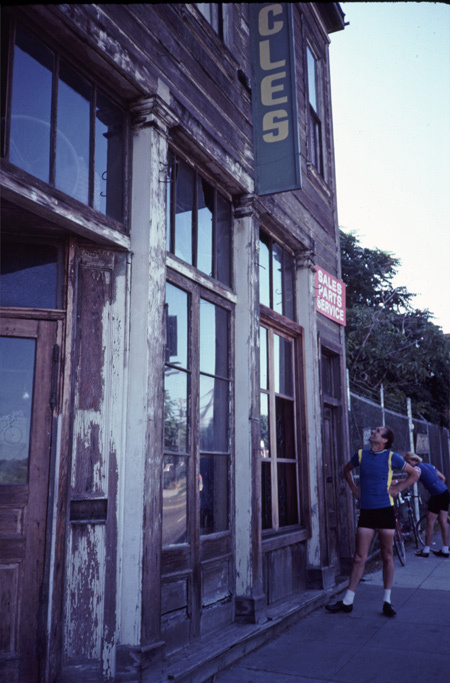 The building dates back to 1884 and had been used as a bike shop for 100 years. Many San Jose residents have fond memories of the shop, which has seen its ups and downs over the years. 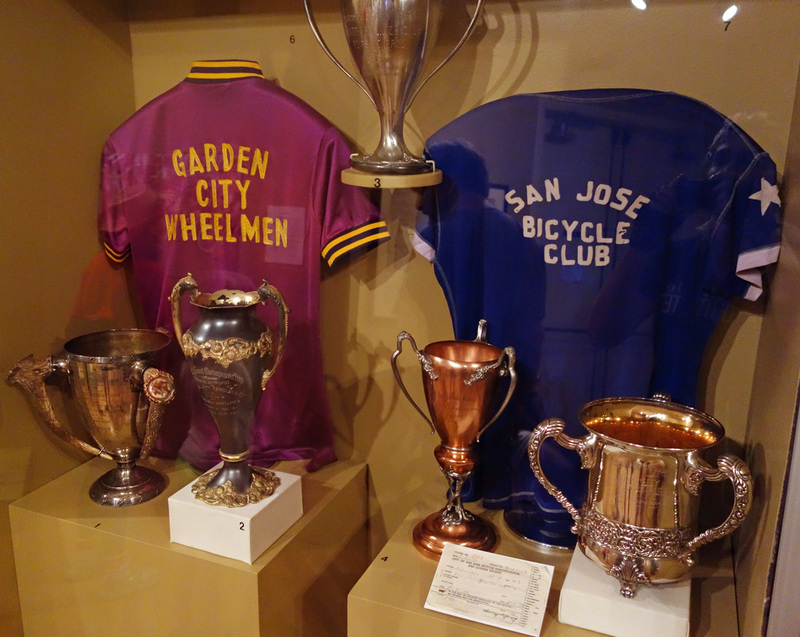 It’s a part of San Jose’s history, no doubt. To get a real feel for the kind of place it was, watch this beautiful video photo montage by Bernardo Grijalva on Vimeo. His black and white treatment captures the rough-hewn wood-frame interior like nothing else I’ve seen. 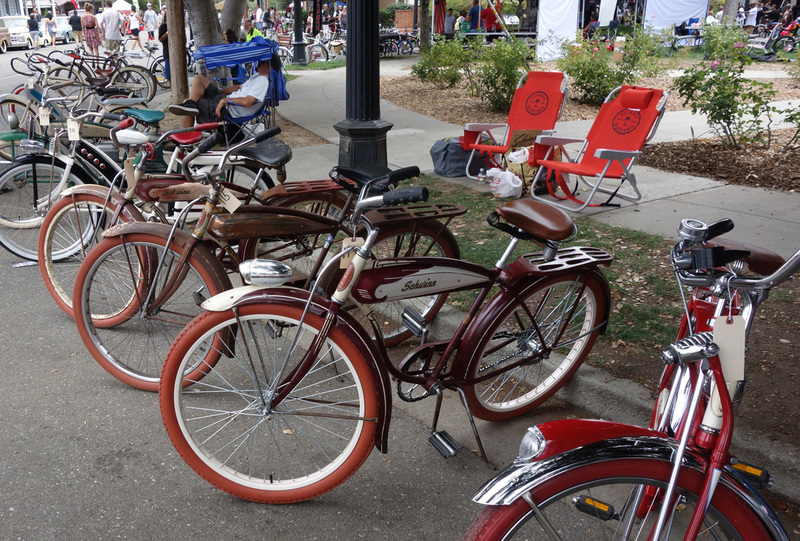 Faber’s, located at 702 S. First Street, shared its historic roots with yet another bike shop nearby, Desimone’s Bicycle Store on 83 S. Second Street. It was owned by Joseph Anthony Desimone, who died in 1945. I don’t know when that shop shut its doors, but there’s an interesting article about one of the shop’s senior mechanics, Ed Barnes, in a past issue of Bicycle Journal. Jobst Brandt and Peter Johnson inspect the bike wrecking yard at Faber’s.